Lock in a great price for Finca Marisa – rated 8.6 by recent guests! Beautiful traditional canarian house. Comfortable apartment. Parking inside the property or just outside. Very good breakfast although to much expensive. The breakfast was incredible, a good variety of food to chose from. Yoga was on once during the week I was there, I thought it was a really good extra we didn’t expect. Great cooking facilities if you wanted a night in, this was good as there was on 3 restaurants to chose from. Seemed a good location if you’re into surfing but you definitely need a car as there is nothing around. We should of done our research before booking so don’t want to be negative. 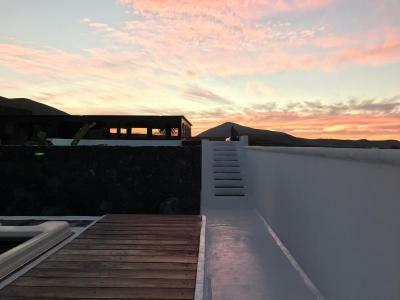 The Finca is very well managed with a nice and quiet area to enjoy the sun with a great view, a hammock to relax and two pools (unheated infinity pool and whirlpool). The room was tidy and the beds really comfortable. The breakfast was the best I’ve had in 3 weeks in Lanzarote including a lot of fresh fruits, cereals, healthy toasts and warm wraps all freshly made. Even for vegans and vegetarians, there are plenty of choices. The owner is very helpful whenever you need anything. 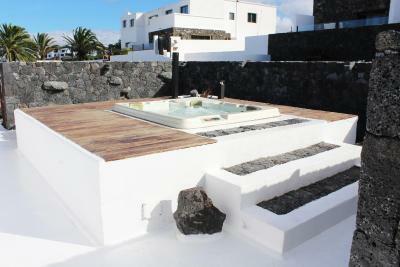 Best location in the Center of Lanzarote. Very friendly owners and staff . Beautiful garden and surounding . Close to the sea and nice village. Looking forward to coming again. The breakfast was amazing. The environment was really welcoming, nice relaxing porch. The host was very nice and friendly to us. Amazing view from the verandah, across the hills towards the sea. 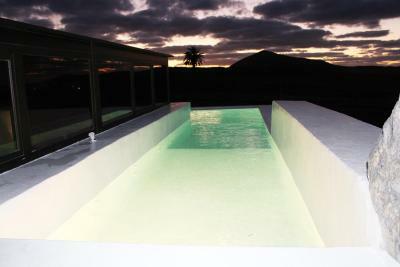 The jacuzzi in the evening was just perfect, so relaxing. Friendly welcome. Quiet location. Walking distance to cafes. Staff were helpful with calling taxis etc. 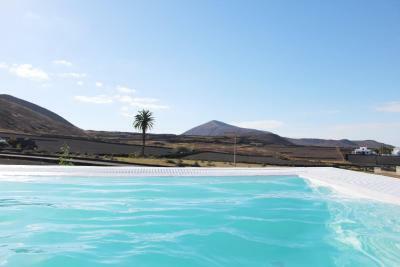 Offering views of the mountains surrounding Tinajo, Finca Marisa is just 3.1 mi from the nearest beach. There is a shared terrace with a hot tub, sofas and barbecue facilities. Featuring ethnic decor, the B&B has 6 bedrooms with free WiFi, a flat-screen TV and a private bathroom. Guests can use a shared kitchen and a breakfast is available daily for an extra charge. 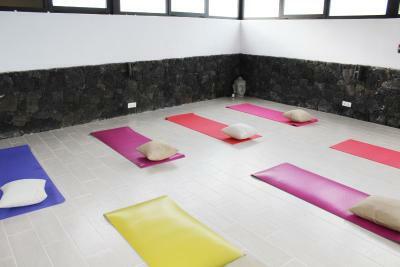 Massages can also be organized for a supplement. 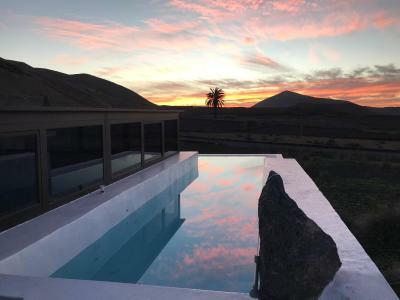 The center of Tinajo is less than 0.6 mi from the Finca, while a range of restaurants and bars can be found in La Santa, a 5-minute drive away. 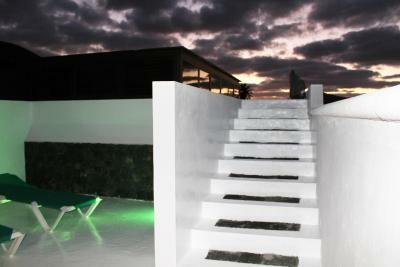 Finca Marisa is a 15-minute drive from Timanfaya National Park. 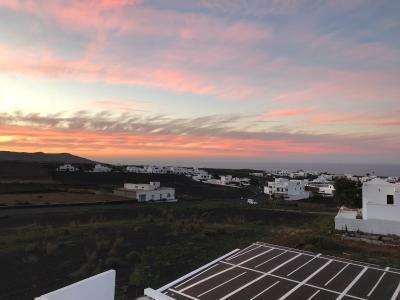 Lanzarote Airport is less than 12 mi away. 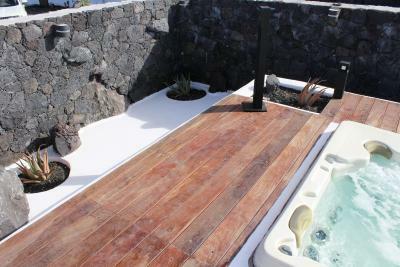 When would you like to stay at Finca Marisa? This bright superior room has tiled floors and includes 2 separate double bedrooms. It features free WiFi, a flat-screen TV and a private bathroom. This bright suite has sea views and a seating area with a sofa. 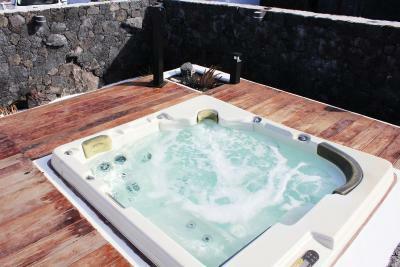 It features free WiFi, a flat-screen TV and a private bathroom. This bright suite has tiled floors. It features free WiFi, a flat-screen TV and a private bathroom. This smaller room offers 1 double bed and a private bathroom with hairdryer and free toiletries. This room offers 1 double bed, a wardrobe, desk and TV. The private bathroom comes with a hairdryer and free toiletries. This apartment features a small private garden. It includes a living room with a sofa bed and TV. There is also a well equipped kitchen. It has 1 double bedroom and a bathroom with a shower and hairdryer. Towels and bed linen are provided. House Rules Finca Marisa takes special requests – add in the next step! Up to two children under 16 years are charged EUR 15 per night when using existing beds. Finca Marisa accepts these cards and reserves the right to temporarily hold an amount prior to arrival. Please note that breakfast is available upon request. 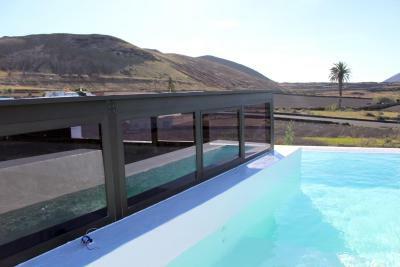 We chose the property because of the hot tub but it wasn’t working all week. 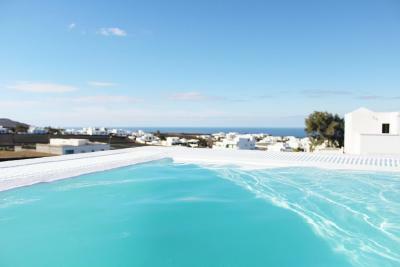 We did have access to a heated pool but we chose not to use it. It was an hours walk to the sea (no beach) we asked about hiring a car but the owner never came back to us with an answer. The 3rd night there was loads of ants/ flies of some sort in the bed but the owner didn’t have another room for us to stay in so she cleaned it but they did come back. I had to sleep with the light on and woke every hour. We were then able to move the next day. The cushion in the patio area could be replaced from time to time as it’s a bit bleached from the sun. Other than that, it was a very pleasant stay. The bed wasn't that comfortable for us, we both kept waking up. The toilet brush was a bit broken. Shampoos and toiled paper were provided for 1 day instead of 3 days, had to ask for more. Great accommodation. Very friendly and helpful owner. Perfect location for trips around the island. Very good breakfast. I can highly recommend.